Join sustainable knitwear designer Katie Jones for this fun 1960s style jewellery workshop. 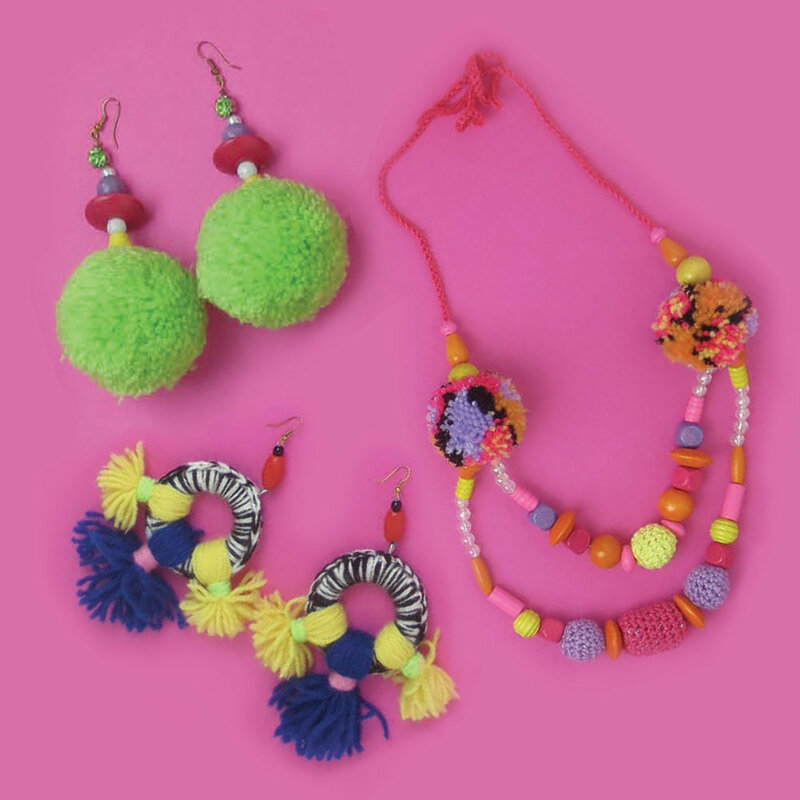 Draw inspiration from the current exhibition Swinging London: A Lifestyle Revolution and create your own set of statement pompom earrings and necklace. Get inspired by Katie’s ‘make it yourself’ ethos and have fun playing with variety of techniques using lightweight beads and yarns. Under the guidance of Katie participants will spend the afternoon creating their own designs considering composition, materials and colour palettes to create handcrafted statement pieces perfect for adding the wow factor to any outfit. Tutor Katie Jones is an inspirational knitwear designer who teams playful aesthetics with serious ethics! Katie’s self-named brand was launched by the British Fashion Councils Estethica after finishing her MA in fashion knitwear at Central Saint Martins. Katie won Selfridges Bright New Things Award in 2016 and her work has been stocked in luxury stores worldwide and featured on the pages of global fashion and craft publications such as Vogue Dazed and Confused, AnOther, The Telegraph and The Guardian. Her brand focuses on sustainable practice embracing Katie’s Granny’s vision of making something beautiful from nothing and consciously addressing issues of over-consumerism. Katie creates wearable, artisanal collections that are big on colour and texture. But more than just creating beautiful garments, the brand creates playful experiences that encourage and champion social and environmental change. Price: £55 includes equipment* and exhibition entry. *The fee includes entry to the current exhibition Swinging London: A Lifestyle Revolution plus all materials.